#PodinLiveNYC — Tea with Queen and J. Black joy on deck! In an era of resistance and the current regime's desire to silence voices of color, Tea with Queen and J. podcast invites you and our favorite independent Black podcasters to come and kick it in celebration of our voices, our experiences, and the community we build as independent media makers in an age of alternative facts and bullsh!t. 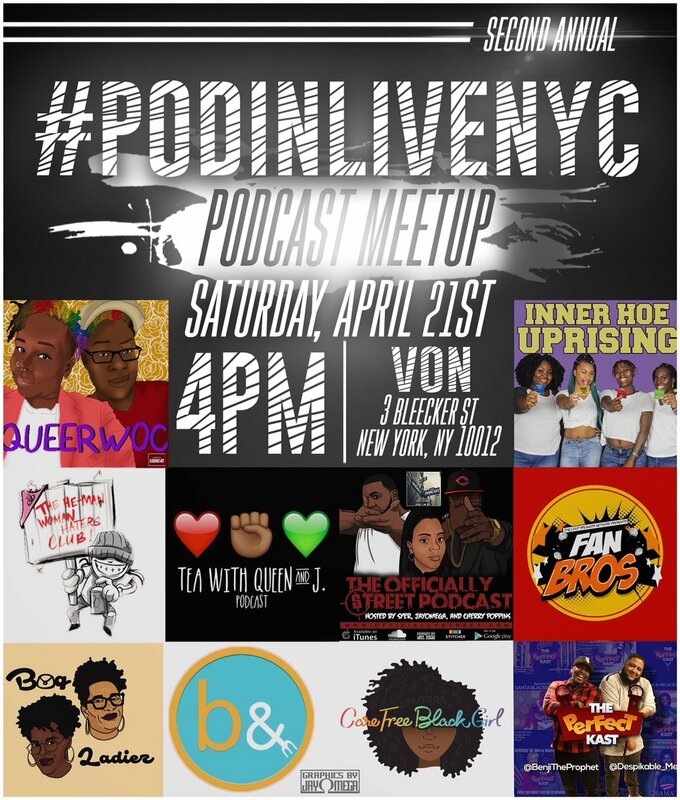 Drink, chill and chat with Tea with Queen and J., Bag Ladiez, Brunch & Budget, #CareFreeBlackGirl, FanBrosShow, HMWHC Podcast, Inner Hoe Uprising, QueerWOC, The Officially Street Podcast, The Perfect Kast and the dopest podcast listeners in the world. Are you a podcaster? Come. Want to start a podcast? Come. Don't know what a podcast is but want to hang out with Black people for a few hours? Come.